Inactive, retired partner, and now trusted advisor to the firm, Carol Stovsky received her Bachelor of Science degree in Computer and Communication Sciences from The University of Michigan, her Master of Science degree in Computer Science from Michigan State University, and her Juris Doctorate degree from The Ohio State University. Carol is registered with the United States Patent and Trademark Office. Carol is a past chair of the Computer Law Committee of the Ohio State Bar Association. Prior to attending law school and joining Standley Law Group LLP, Carol was employed as a software engineer at General Electric Medical Systems and Alcatel-Lucent (formerly AT&T Bell Labs). 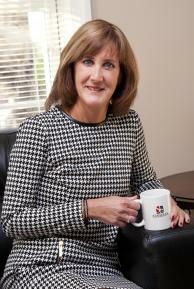 During her time as partner of the firm, Carol counseled clients on a wide range of legal issues related to software and computer-based systems, and her clients included companies that develop and offer software-based product and services as well as companies that use a variety of software-based systems to support their businesses in developing and distributing many types of products. Her technical background and prior work experience helps her in understanding the legal needs and problems of companies that face a variety of issues involving software. Carol has extensive experience in developing patent protection strategies for software and computer-related inventions. She is experienced in the preparation and prosecution of domestic and foreign patent applications involving computer and software inventions. The patent landscape for computer and software-related inventions around the world continues to change, and Carol helps the firm understand issues related to worldwide patent protection for computer and software-based inventions. Carol also has extensive experience on copyright, trademark, and licensing issues related to software development, distribution and use as well as computer software contract and licensing matters. She advises the firm on copyright and trademark issues related to conducting business on the Internet as well as using the Internet in a business setting. She also advises the firm on infringement issues and other violations of proprietary rights in software. Her experience includes advising on registrations of copyrights in computer software, advising on issues regarding the Digital Millennium Copyright Act, and advising on rights under ICANN's Uniform Domain-Name Dispute-Resolution Policy.